2.54mm right angle pin header connector is the right angle version of the board to board connector belonging to 2.54mm pin header series. This connector is best known for providing co-panel solutions with a female header in PCBs. 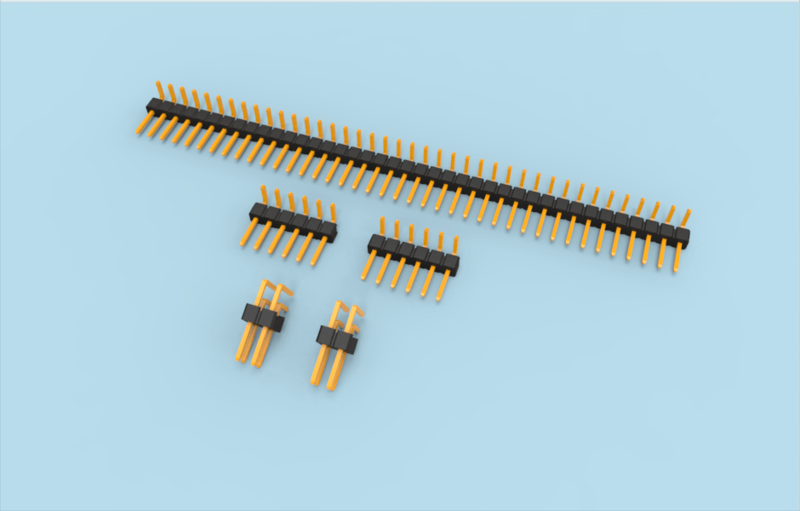 While the single row type of this connector can be easily inserted in to the female header the double row types take a little more effort in to counts. A single row connector can have two to forty pins on one side or both sides. In case of dual row connectors the connector can have four to 80 pins for connecting it with the female headers. The connector has metal contacts which are made of copper alloy most of the time. You can get custom made insulator with the connector. The connector is compatible with the female counterpart of the connector having same specification as this type of connector. 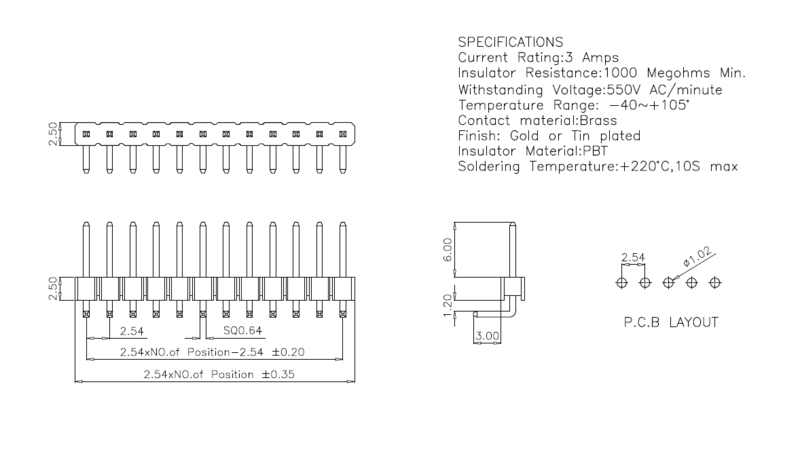 The connector is used in all sorts of LCD panels in various industries and household applications. This is a great product for automotive industries and home consumables using the LCD. 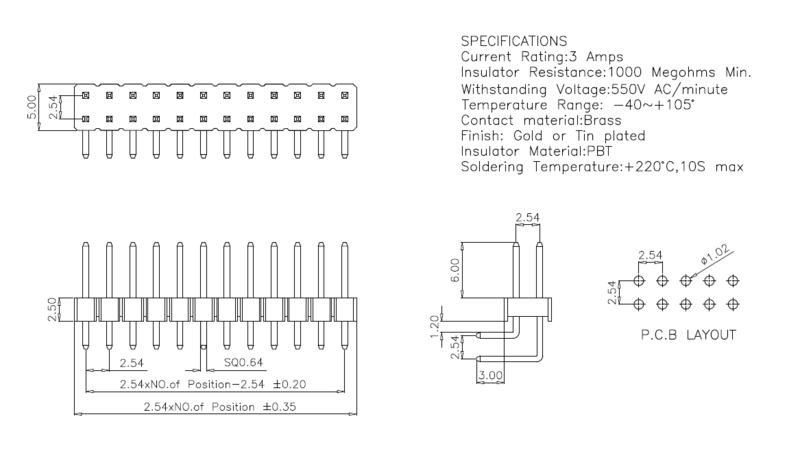 This connector can be used in various applications involving its connection with straight, right angle and surface mount female counterparts. 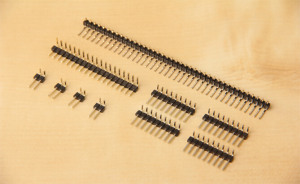 2.54mm (.100”) inch right- angle pin header is PCB headers for board to board connectors connection.This product include: single and dual row in Right angle version, three and four row can also be made according to customer’s request. It’s breakaway pin header, can cut into any pins easily. Generally mated with receptacle or stackable header connectors (female sockets) which is vertical, right-angle or SMT (surface mount) application. Assemble at the edge of PCB board connect with female header for co-panel solution.